Goodreads: Three years after witnessing the kidnapping of her best friend, Robin, Paige Bellen is expected to continue on with life as usual. Now, with her closest friend out of the country, a messy relationship with Robin’s boyfriend, and a family that handles her with kid gloves, Paige isn’t sure if she’ll ever be able to move forward in life. 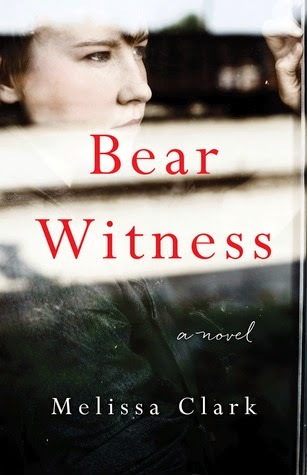 Bear Witness explores the aftermath of a crime in a small town, and what it means when tragedy colors the experience of being a young adult. Kritters Thoughts: A young girl is there the night her friend is kidnapped and a few weeks later her body is found and the story begins three years after this horrific thing has happened to her and goes backward in time. With chapters that are made of moments from each year, Paige provides the story of what happened and how her life has completely changed due to the tragedy. I loved the structure of the book. Divided by grade levels starting in 10th grade, I loved how although the chapter was large, it was divided by stories and moments within each year. It was so interesting to have it go back in time. To start with her in the midst of the healing process and to read backwards you watched her decline and even read what happened and some moments before it happened - I loved it. I would definitely pass this book onto mature YA readers, maybe not as mature as me, but definitely not a book intended for a reader who can't handle reading about tragedy that happens to peers or younger. I loved the uniqueness of the book and am a Melissa Clark fan!